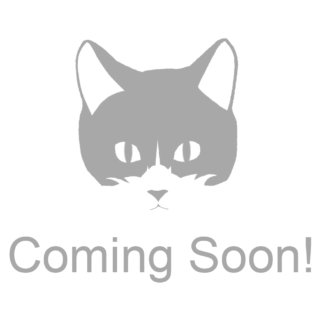 All current tee shirts are on CLEARANCE to make way for new and improved merchandise. 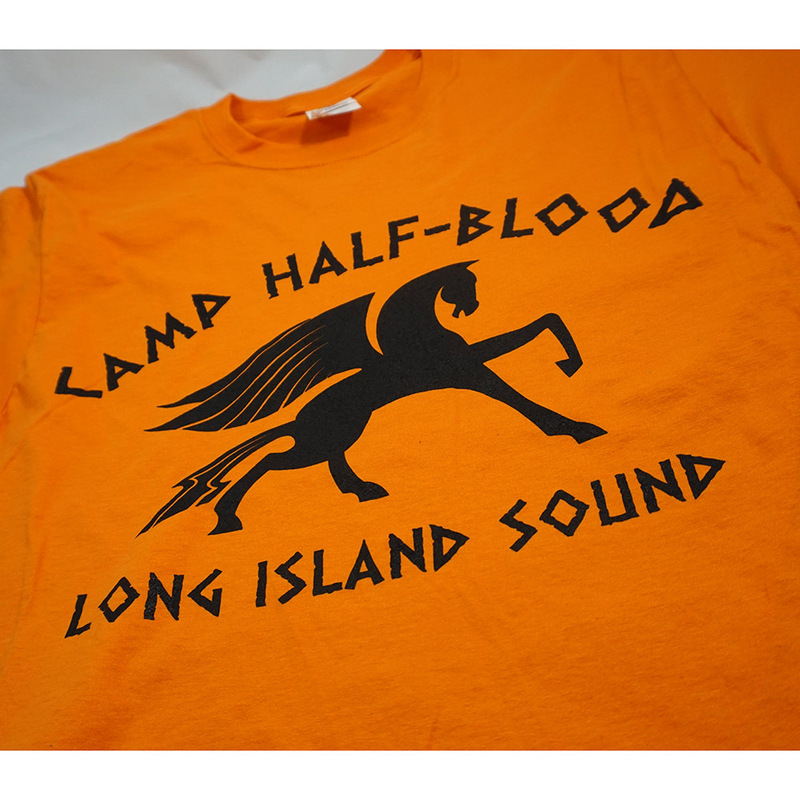 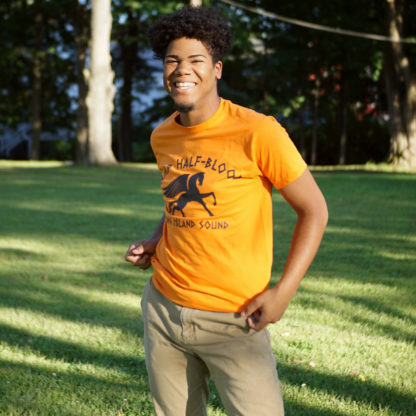 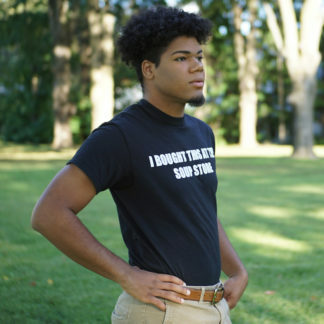 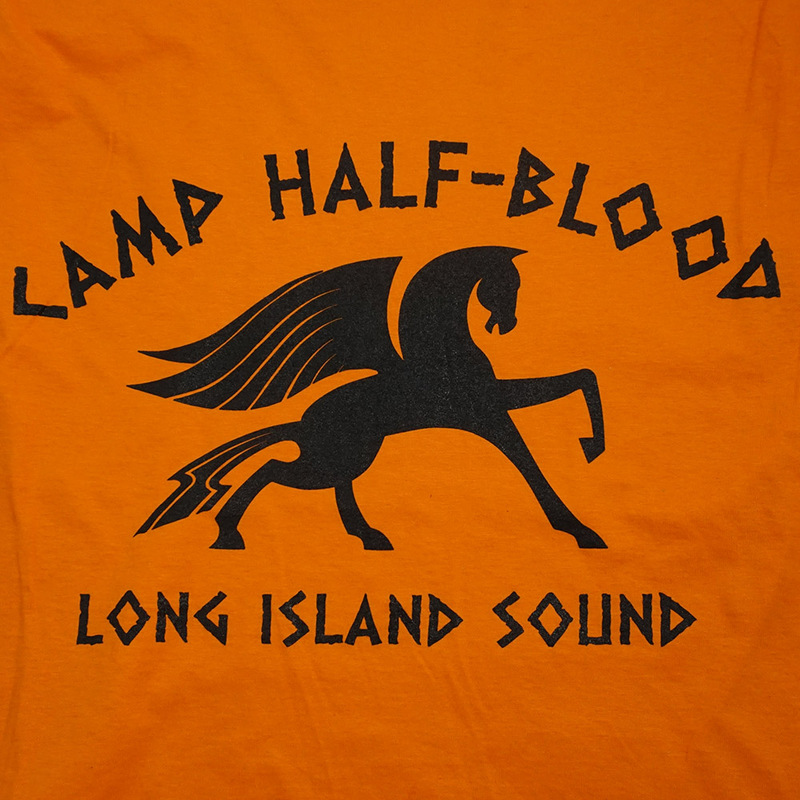 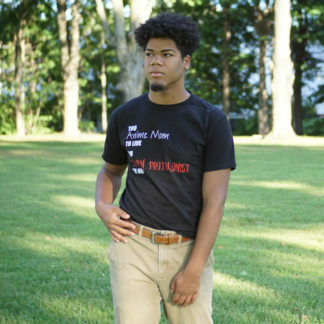 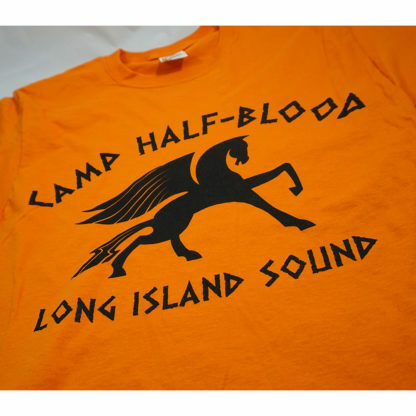 With its feisty orange fibers, interesting ancient Grecian style lettering, and iconic pegasus silhouette, this tee shirt is perfect for slaying monsters and saving the world. 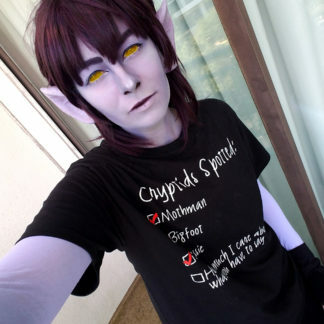 Just don’t get any suspicious, blue goo on it.